Belief and persistence are two (2) of the most powerful tools that you can have for success! You must believe in yourself and have the persistence to move towards your goal whenever you get knocked down. Everybody gets knocked down once in a while when they are trying to reach a goal that many consider impossible but your ability to keep getting up will help you win the battle. Consider this; ninety percent (90%) of the people in the world are failures or dead broke by the time they near the end of their life. If you want to be a failure then you only need to do what everybody else is doing! You need to have the will power to break away and not follow the crowd. If you follow the crowd you will only go as far as the crowd does and there are worlds they have never dreamed about that waits for you if you are willing to break away and follow your dreams. Do not accept the statement that things are impossible! Nothing is impossible until everybody is willing to accept it; more times than not somebody will prove it can be done. Impossible; the very word broken down says it all – I M – possible! Yes, you are and you just have to believe in yourself and have the persistence to keep trying! Babe Ruth is an example that everybody uses when they discuss the fact that people need to “keep swinging” when times get tough. 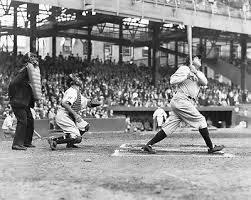 He broke the record for the most home runs in a single season in 1923. He also held the record for the highest batting average that year but many people do not know that he also set the record for the most strike outs in a single season. The thing that set him apart from the rest was that he was not afraid to go down swinging! Nobody remembers the failures they only remember the successes. 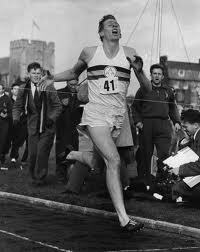 Roger Bannister was the first person to break the record of running a four (4) minute mile. He did that on May 6, 1954, a little over sixty (60) years ago. Before that date many thought that the mile would never be run under four (4) minutes! Many thought that it might be a lethal task to undertake but Bannister had belief in himself and his ability so he persisted until he finally broke the record. You alone are responsible for what you can and cannot achieve. 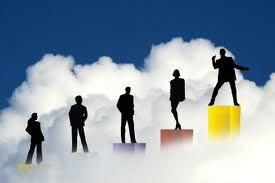 The world will step aside for the person that knows where they are going and what they truly desire! My advice to you is to stop settling for a mediocre success! Do not blame others for you inability to succeed! Believe in yourself and keep trying. Keep trying no matter how long it takes; eventually you will succeed! Belief in yourself and persistence will not be denied!